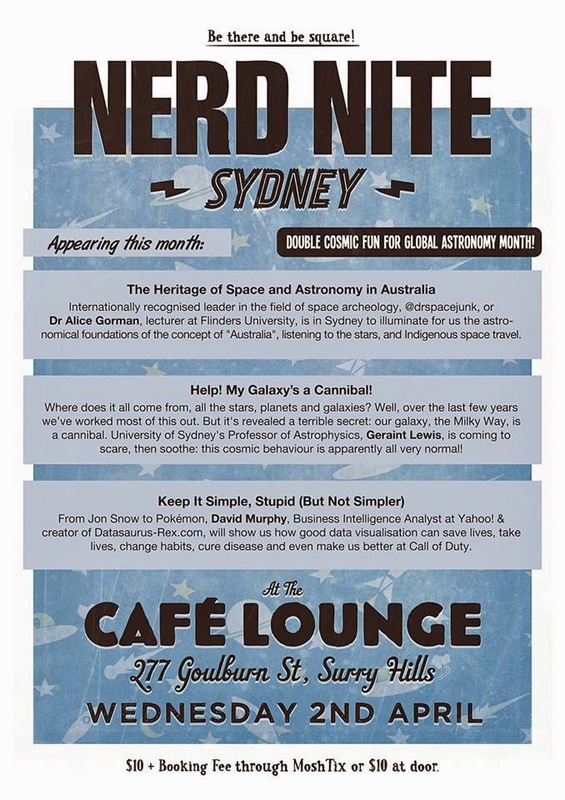 Last week I flipped over to our nation's sunny capital for a space policy workshop, then on to Sydney to talk at the Nerd Nite. No, I said nerding it up, not nuding it up. Shut up down the back there.